With trust in governments low and media fractured into an infinite number of contested opinions, conspiracy theories are an appealing way to understand the world. They project human intentions onto complex events to explain why things happen and assign blame. Just as the ancient Greeks saw lightning bolts as manifestations of Zeus' anger, we peer into the vast complexity of our society and we see ourselves: human intentions, human motives, and human vices. But the better we come to understand the forces of nature, the closer we come to confronting perhaps the greatest fear of the conspiracy-minded: that no one is in control, that we are guided and constrained by the systems we have made. And these systems are not good or evil; they are without greed, ambition, or ideology; they are simply not like us. Download image stills from the production here. Contact us at admin@thisisnotaconspiracytheory.com to request a screener for the series. Email us at admin@thisisnotaconspiracytheory.com. Series creator Kirby Ferguson is available for interviews, Q&A's, etc. Viewers can buy the series for $15 via Vimeo OTT (https://notaconspiracytheory.vhx.tv/buy) or Vimeo on Demand (https://vimeo.com/ondemand/tinact). For $15, viewers get the entire series: a feature documentary, released in episodes, which will add up to eighty minutes. They get each of the episodes as they're completed, plus behind-the-scenes updates as the project unfolds. Watch anytime, on any device, forever. This is an opportunity to watch a highly creative and experimental process evolve in real time. Members get opportunities to interact with and influence the production and occasionally we also come up with unique perks. So far, episodes One through Five have been released. We estimate there will one more episode. Episodes are delivered in installments, on a slow and erratic – but loving – schedule. Each series purchase helps support future installments of This is Not a Conspiracy Theory. This is Not a Conspiracy Theory is the work of filmmaker, writer, speaker Kirby Ferguson. Loved by fans for his ability to break down complex cultural, political, scientific, historical and tech subjects into simple ideas, This is Not a Conspiracy Theory features the same ambitious storytelling, extensive research, visual complexity, and hand-crafted rigor that his supporters have come to expect and enjoy. This project is an experiment in paid content delivery and continues his exploration of the episodic storytelling format. Kirby Ferguson is best known for creating the popular online video series Everything is a Remix, which has been highly praised by the likes of MythBusters' Adam Savage, Lost co-creator Damon Lindelof, and acclaimed author Clay Shirky. The series has been viewed over 1.5 million times. Ferguson dedicates extensive time to researching his subjects, then writes wide-scope, idea-driven narratives spanning a diverse range of topics. He also does the majority of production himself, relying on his strengths in editing, graphic design and sound mixing. For the past seven years Kirby Ferguson has been an independent video producer. He has worked with The Discovery Channel, Pivot TV, The Canadian Broadcasting Corporation, Electronic Frontier Foundation, Future of Storytelling, Engine and Fight for the Future. Prior to his work in video, he was a graphic designer, writer and publisher for over a decade. 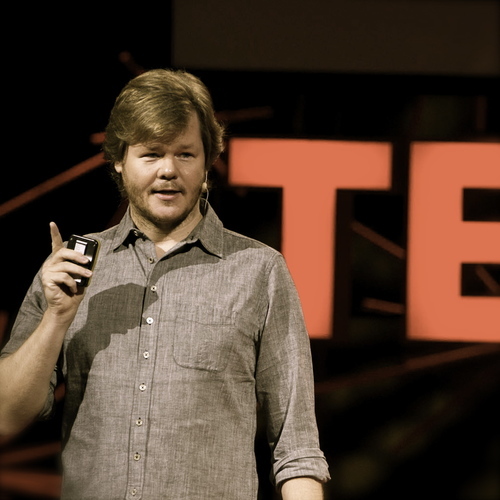 He is also an established speaker on creativity, technology, and media and has presented at TED, SXSW, The Festival of Dangerous Ideas, Google, Netflix, the GEL Conference, Creative Mornings NYC, Columbia University, NYU, The Cusp Conference, Media Evolution, The Creators Project, Campus Party Mexico City, and more. Watch his TED Talk here. This is Not A Conspiracy Theory began as a successfully funded Kickstarter in 2012. These funds helped support the first year of project development (research and crafting the premise) as well as the first year of production on Episode One. The project was officially launched in 2014 with the release of Episode One. Four more episodes have been released since and one episode remains.